Business Law – When dealing with customers who are having difficulty paying your invoices on time you will need to be aware that payments you have banked may need to be returned to a liquidator if the customer becomes insolvent. In current times liquidators are more emboldened to recover these payments. 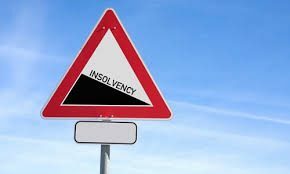 When an insolvent company is wound up, a liquidator is appointed to realise the assets of the company and to distribute those funds to creditors. Before the liquidator was appointed the company has been trading in the hope of a turnaround in the financial fortunes of the business. In these circumstances the company tends to pay the creditors that are either pressing the most for payment or are the most important to the company’s continued ability to trade and generate revenue. The general policy behind the insolvency laws is that an unsecured creditor receiving a payment should not be in a better position than other unsecured creditors in a winding up situation. Generally, a liquidator may seek to recover a payment made by any insolvent company if it was made within 6 months before the day on which the application for winding up was made. When do you not have to repay the money? You had no (or the reasonable creditor would not have had) reasonable grounds to suspect that the company was insolvent. The last point is the most difficult point to prove and we will discuss below. When is it reasonable to suspect a company is insolvent? The Courts look at the commercial reality. Where there are express statements from the debtor that they are having cash flow problems or financial difficulties, payments have become increasingly or unusually late, there have been significant demands for payment, or payment plans are put in place then generally a Court would consider that it was reasonable to suspect the company was insolvent. However evidence that the customer was always a late payer would be useful to negative the conclusion or correspondence or verification from the customer which is reasonable to give you comfort that they are solvent. Short term cash flow problems do not necessarily mean a company is insolvent. Seek a security from a third party such as a bank guarantee.